The Stargazer’s Sister, Carrie Brown’s novel based on the life of Caroline (Lina) Herschel, the sister of the great 19th century astronomer William Herschel, and a noted astronomer herself, is my third project with Carrie and the first time we’ve worked on a historical novel together. In many respects this felt different, because of Carrie’s desire to be loyal to a life about which there is much on record—Lina Herschel has been the subject of biographies, alongside her brother—and to the actual stargazing they conducted. Carrie’s acknowledgments include a professor of physics and graduate students in the field, who helped her understand the mathematics of the brother-sister duo and the skies they observed with revolutionary results. Their success was due to, among other factors, William’s single-minded passion to build a telescope bigger than seemed possible—a wonderful episode in the novel where we see how truly remarkable it is when science is in the making: there are people who think of things that no one has thought of before and find ways to carry out their vision, despite the skepticism that surrounds them. I was awed by the world Carrie made vivid to me and at the same time, a good litmus test for the casual reader who may not have any particular interest in chasing comets but who cares deeply about women’s lives. Carrie’s job was to be historically accurate but to also help us understand the wonder of who Lina was—to invent a voice for her, and to create living episodes for this budding feminist. Lina was a career woman so much before her time that it seems ludicrous to use the term; she had a vocation, and made major sacrifices for it. She also sacrificed much to be by her brother’s side, to run his household in Bath, cooking and cleaning and keeping accounts for a thriving scientific enterprise that took place quite literally in the siblings’ backyard. As Carrie shows us, Lina had an unwavering if complex loyalty to William, who saved her from a life of misery at the hands of her aging and unhappy mother in Hanover, Germany. Because Lina was scarred and her growth stunted by typhus in her youth, she was not suitable to be married off; William recognized Lina’s superior intellectual gifts, paying for the ongoing care of his mother in order to free Lina from imprisonment as her caretaker and drudge-mate forever. What ensues is that she became his own caretaker and drudge-mate, yet also the necessary enabler of his genius—one mathematically gifted enough to work out the calculations needed to record what he sees in the skies during their obsessive and sometimes bone-chilling nightly observations. 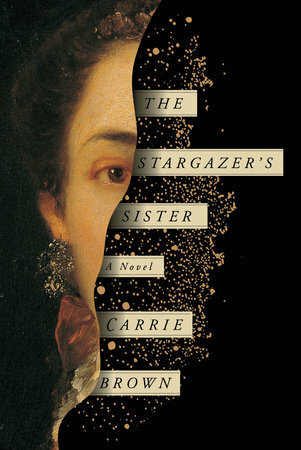 In The Stargazer’s Sister, Carrie moves the reader with a grace and insight similar to that of her previous Pantheon titles, The Rope Walk, about a ten-year-old girl losing innocence and discovering adult fallibility, and The Last First Day, about the wife of a beloved prep school headmaster. Whether historical or not, her novels expose the tenderness and uncertainty of female strength as it comes into being. Her interest in the female psyche and how it develops, is revealed to its bearer, and is bodied forth in true acts in the world, hovers between the lines throughout her work. Without caring especially for what shines in the sky (though Carrie does beautifully with the vastness of heaven, its treasures suddenly near to the eye for the first time in history), a reader can be fully riveted by Lina’s story – that of a girl with a curious and potent brain becoming a woman by following her entirely unique path. I am delighted to read the excellent reviews so far for this winning novel! Learn more about the book below! 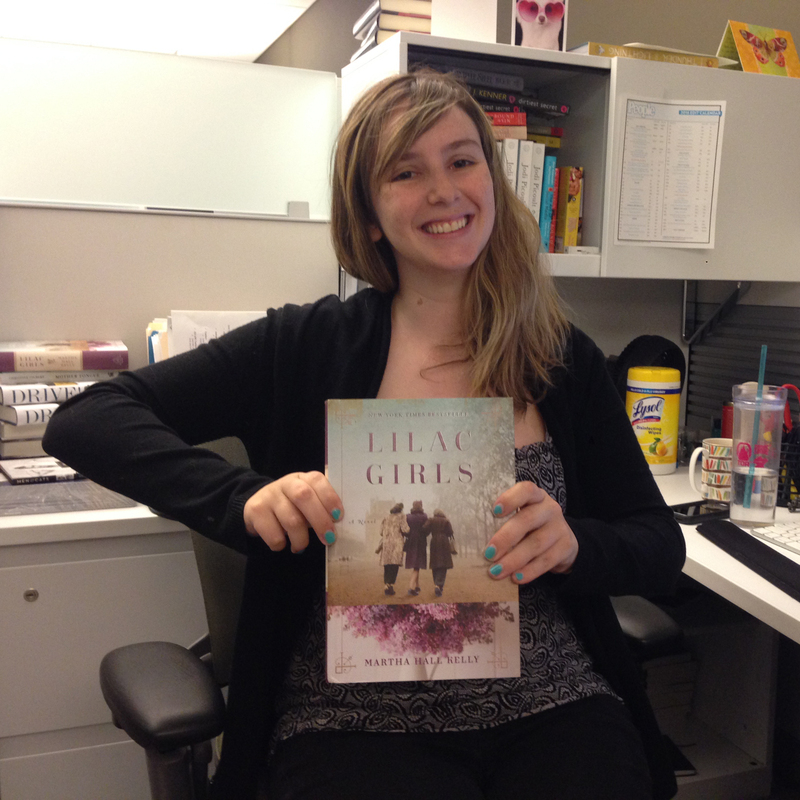 Amy interviews Beatriz Williams, author of The Secret Life of Violet Grant, live at BEA. Amy interviews Celeste Ng, author of Everything I Never Told You.